There she is! Kim Kardashian shared the first photo of her newborn daughter Chicago on Instagram on Monday, February 26. In the cute pic, the reality TV star, 37, wears a white robe as she cradles her daughter, who is also dressed in white. They both have teddy bear ears and noses, thanks to a filter. “Baby Chicago,” she captioned the snapshot. It’s not the first glimpse we’ve had of Kardashian and husband Kanye West‘s third child, who was born via surrogate on January 15. Fans briefly got to see Chicago in Kylie Jenner‘s 11-minute YouTube video that she shared earlier this month documenting her pregnancy. In the video, the pregnant Lip Kit maven, 20, cradled her niece, who was swaddled in a baby blanket. “She’s so little,” Jenner marveled as the Selfish author said they were thinking of naming her after West’s hometown. 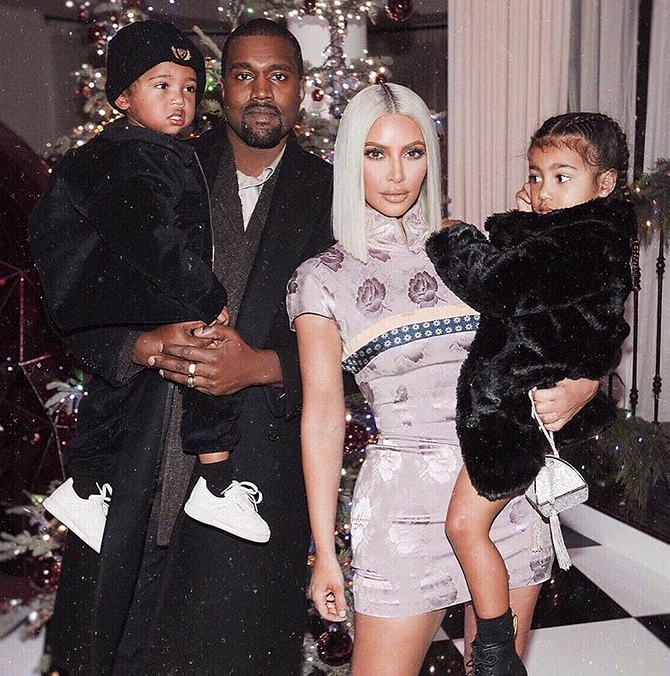 As Us Weekly previously reported, Kardashian, who also shares daughter North, 4, and son Saint, 2, with West, is loving life as a mother of three and has been getting up in the middle of the night to look after her baby girl.